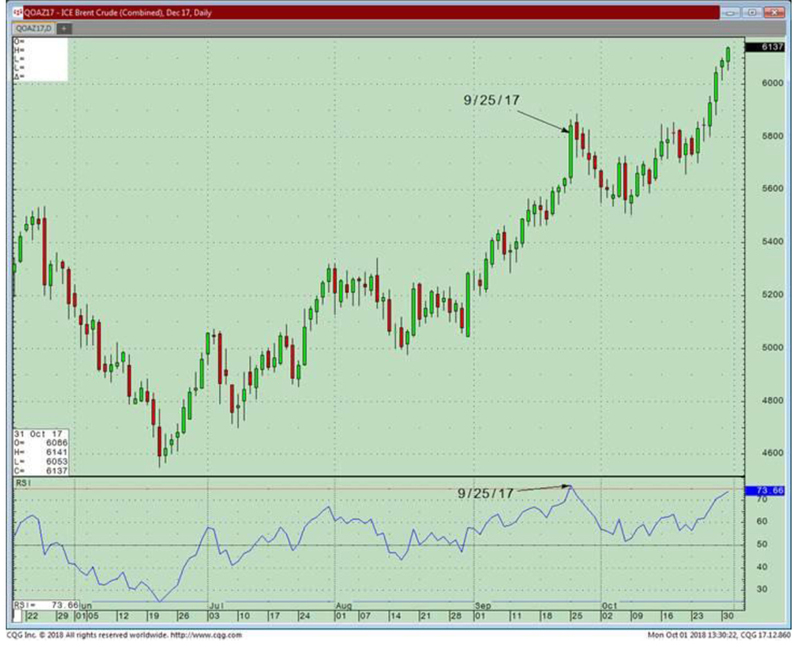 Brent Crude is overbought and this condition is unlikely to last for much longer, says James Dima, technical analyst at Marex Spectron. 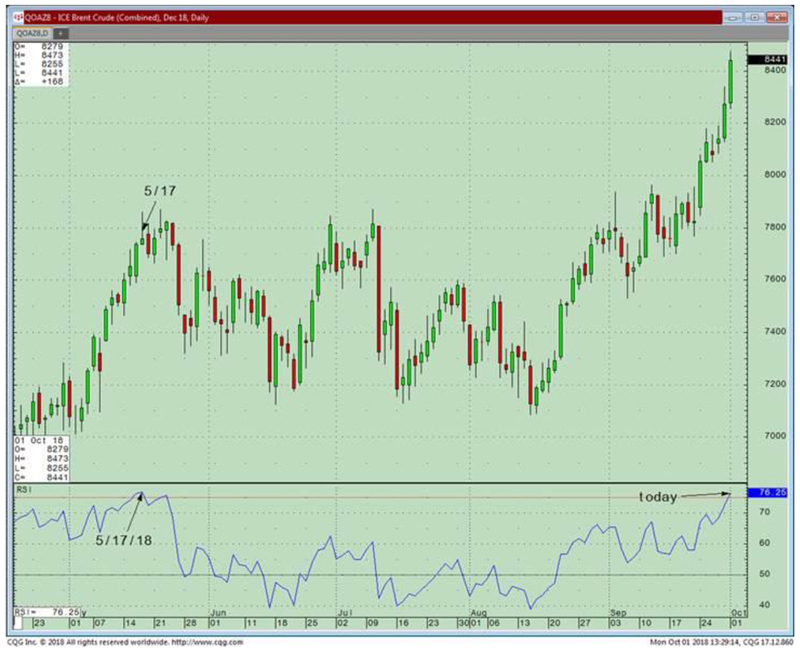 Dima points to the chart of December 2018 ICE Brent Crude, which shows the RSI has reached above 76 (lower pane of Chart 1). The last time this happened was in May of this year when it was followed by a $6 sell-off. 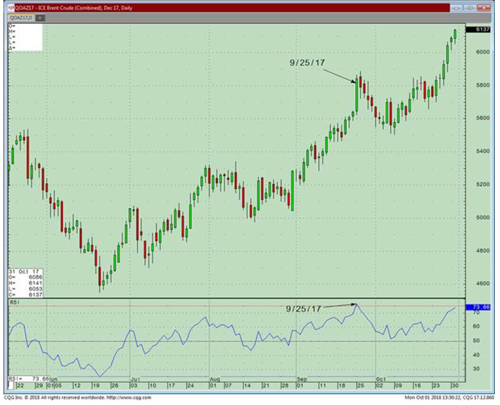 A pullback also occurred in September last year after the RSI reached a similar level (see Chart 2). Though acknowledging the market can become more overbought in the next couple of days, Dima thinks this level of strength will not last much longer and that a period of cooling-off is needed, possibly in the form of a dip or weakness in the coming sessions.